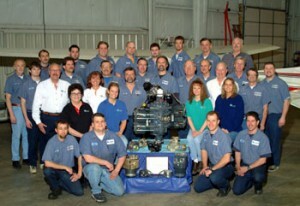 Finding the right company to overhaul your aircraft engine can be a real challenge. With the seemingly endless variety of options facing today’s overhaul customer, it can be difficult to choose the one that’s just right for you. The information contained here is designed to arm you with the knowledge necessary to make an educated decision concerning the overhaul of your aircraft engine. After learning more about our approach to engine overhaul, we believe you will choose Poplar Grove Airmotive as your overhaul company. Why do we take such a straightforward approach to selling our overhaul services? It’s simple! We believe the best way to market our services is to help buyers separate fact from fiction, reality from marketing hype. Our greatest sales tool isn’t a fancy ad, it isn’t a catchy slogan and it isn’t promoting the latest “fad.” Our greatest sales tool is a growing list of satisfied customers who chose us because of our reputation as a reliable, established company that consistently delivers a solid “factory new limit” overhaul at a fair price.